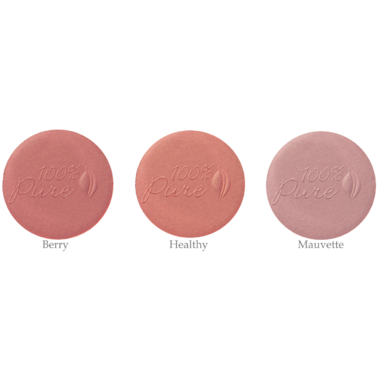 100% Pure's fruit pigmented blush makes you sparkle and shine! This blush is colored with antioxidant and vitamin rich fruit pigments instead of minerals or synthetic dyes, for natural, healthy colour. I got this product with such high hopes. the color is great I love the company but it is not long lasting. I apply it on top of of daily vitamin c serum and daily moisturizer, still it stays less than 1 hour. 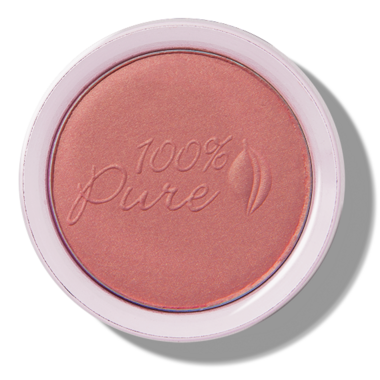 I have used 100% Pure blush for years and am very happy to see it on this site. My go to colour has always been pretty naked, but it is not available here. I ordered healthy and it is a deeper shade. Used sparingly it is a natural looking shade.